Central Vermont Mission is dedicated to serving the needs of the residents of central Vermont as they struggle to maintain their dwellings. We do minor and major repairs, modest remodeling, replacement of roofs, porches and decks, painting inside and out, the building of handicapped ramps, window replacement and much more. 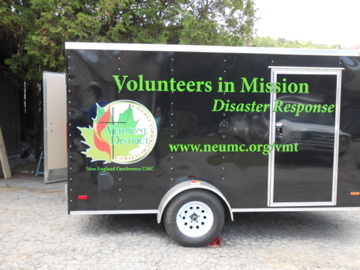 Central Vermont Mission(CVM) has recently formed a relationship with Mission Central located in Mechanicsburg, PA. Mission Central is a member of the UMCOR Relief Supply Network and has been able to provide aid for people affected by every major weather event since their beginning in 2002. CVM will serve as a HUB for putting together Disaster Relief Kits that will be warehoused at Mission Central. Click on CVT_HUB to learn more about our HUB.